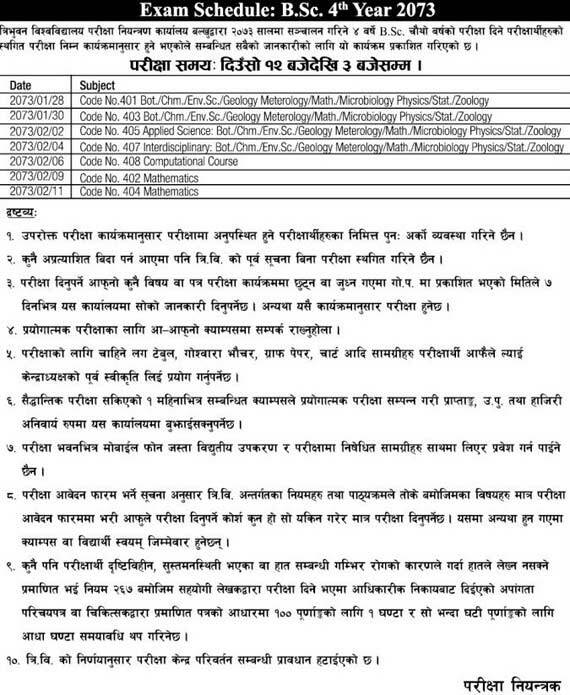 Tribhuvan University office of the controller of examination, Balkhu has published the examination schedule of 4 years B.Sc fourth year 2073. The examination time for 4 years B.Sc fourth Year is 12 to 3 pm. The examination starts from 28 Baisakh 2073 and ends on 11 Jestha 2073.